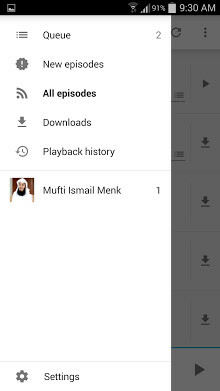 Mufti Menk Islamic Audio App is integrated with www.MuslimCentral.com, as Audio Lectures are uploaded to the website it will automatically become available via the App. Our Apps are all AD-FREE! Mufti Ismail Menk was born in Harare, Zimbabwe. He is a student of knowledge trying to disseminate the Deen in the current age. He did his Initial studies in Harare, Zimbabwe. Mufti Menk attained a degree in Shariah Law from the University of Madinah Munawwarah. He went on to specialize in Jurisprudence in Gujarat, India. Mufti Menk is a broad minded, motivational speaker who has endeared himself to both Muslims and non-Muslims. He is the Head of the Fatwa Department of The Council of Islamic Scholars of Zimbabwe known as Majlisul Ulama Zimbabwe. He is also one of the Muathins and an Imaam at Masjid Al Falaah in Harare. He has been on many speaking engagements and lecture tours around the globe. He contributes regularly towards the Islamic content of various media networks and is an experienced social worker and counsellor.